Morello Law Group, P.C. 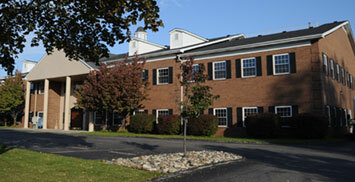 is a full service law firm with offices in Wayne and Macomb Counties. We take great pride in our organized, pro-active approach to providing top quality legal and professional services to our clients. Morello Law Group attorneys represent individuals, professionals and businesses located primarily in Southeastern Michigan and Northern Ohio. The firm’s clients include individuals, service businesses of all types, auto industry suppliers and manufacturers, prominent companies, residential and commercial builders, landlords and developers. The firm aggressively represents clients on a wide spectrum of litigation matters, and provides sophisticated representation to clients in the areas of estate planning, business planning, taxation, corporate transactions and real estate. Morello Law Group attorneys have advanced degrees, specialized training and certification in other professions. Firm attorneys regularly participate in and lead seminars to keep abreast of the latest developments in various areas of law, and regularly speak publicly on their various areas of expertise. Firm clients benefit from our long-standing relationships with business and community leaders, attorneys, accountants, financial advisors, bankers and realtors in Southeastern Michigan and Ohio. Firm attorneys also provide time and expertise to various civic and charitable organizations. 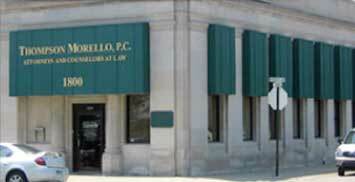 Morello Law Group attorneys take a team approach to providing legal services to clients. The firm’s team approach allows each client to have his or her legal affairs handled by an experienced attorney of the firm. This approach provides clients with the highest level of service in the most efficient manner. We welcome the opportunity to assist you with your legal service needs. Please accept this certificate as a small token of our appreciation. We hope you and Sue will enjoy an evening out. I am grateful to have met you and have you as my attorney. Thank you for the excellent preparation of our estate plan. You and your staff were very professional and provided exceptional detail throughout the plan. As a Ph.D. mathematician and retired corporate strategic planning executive, I have been trained to look for detail. I was skeptical that any law firm could develop a strong estate plan without taking an exorbitant amount of time in going through several drafts. Much to my surprise, your firm exceeded my expectations. Even when one of my requests required action beyond the normal process, your staff was flexible and expedient in finding a solution. My plan was thorough and customized in a reasonable amount of time. This included a quality control period which ensured that all information was covered. Job well done!!! My wife and I will definitely recommend your firm to our family and friends. We truly appreciate all you have done for us. We started many years ago with the Morello Law Group and Jerry Morello doing our trusts, estate planning and business ventures. You sat there patiently and let Dave reminisce his many life experiences. I assure you our family did not listen as patiently as you did; they only rolled their eyes and said “there he goes again.” You seemed to know just what to say when advising him on what to do and what not to do. He listened to your advice as we well know most of the time!! He liked the way you treated us and I’m sure you treat most of your clients as family. You and your staff were always there for us and if we had a question, you or your staff had an answer for us or went and found the answer we needed. Well it’s been three years since Dave’s death. He always said “when something happens to me, call Jerry Morello,” and I did. That’s when my three year journey began with the help of Morello Law Group. On the day of Dave’s visitation, I turned around and Jerry was standing next to me. What a pleasant surprise. He took the time to drive sixty miles to pay his respects to Dave and our family. That’s what is so special about this law firm. Jerry, that’s why Dave respected you so much and thought the world of you. After Dave’s death and the many legal problems that loomed over me, like I said, Dave didn’t always take good advice. Jerry introduced me to George Fekaris, feeling I needed his expertise with upcoming matters. He was right. George has comfortably taken me through many difficult legal challenges. The many personal decisions, court appearances and trust changes were all made easier because of your caring concern and help. I always felt whatever the outcomes were, good or bad, they would be easier to accept because of your hard work and keeping me well informed of their progress. I always felt your genuine concern for me. Again, as your clients must feel. It’s hard to know where to begin thanking you for all that you have done for me. I only wish Dave could have known you George. He would have really liked your work ethics and personality. He was a very tough guy but a very gentle giant with a big heart. Again, thank you so much for all your kindness, concern and generosity. I’m sure there will be a time in the future that I will need your help again. Hopefully not too soon. So until then, life has been good. Thank you and your staff for all the time and attention put into creating my estate plan. You may be certain I will recommend you to others as I greatly appreciate you consideration.